Printing using HP Indigo’s legendary quality and features with unsurpassed durability and capability, the HP Indigo press is the perfect solution for those looking for low cost printing of posters, flyers, business cards and more. Every printed impression made onto the paper can be different, as opposed to making several hundred or thousand impressions of the same image from one set of printing plates, as in traditional methods. We can produce for personalised business cards, cheap poster printing and fast turn around A3 posters. There is less wastage in terms of chemicals used and paper wasted in set up (bringing the image “up to colour” and checking registration or position). Less waste means we can bring printing to you at a lower cost. And the Indigo press is enviromentally approved. Because of the lack of a need to make plates or run up to colour, it is useful for rapid prototyping, and cost effective printing for small print runs such as promotional flyers, office stationery and print proofs. Digital Printing is used for personalised printing, or variable data printing (VDP or VI), for example personalised business cards, which are customised with the specific person’s name and images. 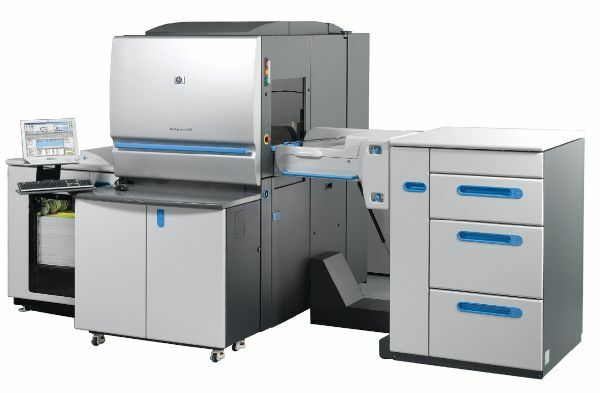 Print on Demand (POD) systems also use digital printing, for short run books of varying page quantities, and binding techniques.